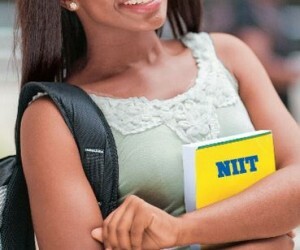 Here is the official sample past questions for the NIIT Scholarship. This for Nigeria. Download a complete pdf version at the end of this page. Choose the correct option for the underlined phrases. Question 1 : Mary just returned from Mauritius. She had a whale of a time there. (a) She spent a lot of time in Mauritius. (b) She had an enjoyable time in Mauritius. (c) She enjoyed witnessing a whale in Mauritius. (d) She managed to learn a lot about whales in Mauritius. Question 2 : Following word is followed by four words/phrases. One of them is opposite in meaning. Choose that as your correct option. Question 3 : A takes twice as much time as B or thrice as much time as C to finish a piece of work. Working together, they can finish the same work in 2 days. In how many days can B do the same work alone? Question 4 : following question consists of five figures marked A, B, C, D, and E called the problem figures. 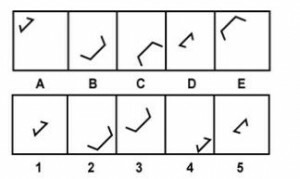 Identify the figure, from the answer figures (1-5), that logically follows the problem figure.